Westcroft suffered a heavy seven wicket defeat in Four Counties Division 1 in a low scoring one-sided affair on Saturday. Starting the day hovering dangerously above the relegation zone, Eaton Bray were made to field first as Westcroft won the toss. But that turned out to play into Bray’s hands. Westcroft struggled against Eaton Bray, crumbling to 79 all out. None of the first five batsmen managed to break five runs as Andrew Norris ran wild. He finished with figures of 4-11 from his nine overs, and the home side were left toiling. 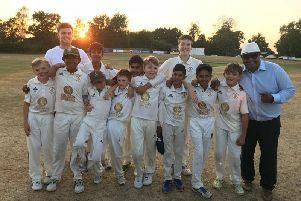 Only two Westcroft batsmen made it to double figures - Zaheer Khan and Mudassar Ali both made 14 - but two wickets apiece from James Flecknell and Aaron Gauntlett wrapped up the innings with Westcroft back in the pavilion for 79. The chase though got off to a shaky start. Wes Hosking (4) and Norris (1) fell early, with Eaton Bray staring at 9-2 - Asad Shah and Shahzah Mohammad doing the business for Westcroft. But the recovery from Josh Peacock (22) and Flecknell (35 not out) put the visitors well in control, hitting the winning runs after 27 overs with seven wickets in hand. The result moves Bray up to sixth, while Westcroft slip below them to seventh.